Must Explore is an online travel guide featuring destination information for countries around the world, as well as online bookings for a large number of apartments, hostels, hotels and attractions. Asia is the world's largest continent with nearly 30% of the earth's land area and nearly 60% of the world's population. With outlying islands, it covers an estimated 44,936,000 sq km (17,350,000 sq miles), or about one-third of the world's total land area. Africa is the second largest continent both in land area and population, after Asia. Africa covers about 30,330,000 sq km (11,699,000 sq miles), which makes up about 22 per cent of the world's total land area. It has various climatic zones from tropical to sub-arctic. The Caribbean is an area to the South of North America, East of Central America, and to the North of South America. It is made up of more than 7000 islands consisting of 28 separate territories made up of independent countries and dependent states. The islands enclose the Caribbean Sea. Central America sits between North America and South America and is made up of 7 countries covering an area of 590,000 square kilometres, with a population of 42.5 million. Central America's climate varies with altitude from tropical to cool. Europe is the second smallest or 6th largest continent covering 10.1 million square metres and has a population of 729 million that is 11% of the world's population. Europe is 6.7% of the Earth's land mass and covers 9,938,000 sq km (3,837,081 sq miles). The Middle East contains 17 states or autonomous regions, although some commentators do also include a number of North African and East European countries. The region has more than 400 million people living in mostly semi-arid and arid areas. North America is the worlds third largest continent after Asia and Africa. Covering an area of approximately 24,250,000 sq km (9,365,000 sq miles), this is about 16.5 per cent of the world's total land area. South America is the 4th largest continent with a land area of 17,800,00 square kilometres (687,260 square miles), covering almost 3.5% of the Earth's surface. South America is the 5th largest in terms of population. South Pacific is the smallest of the world's continents and is generally considered to be made up of country and island groups including Australia, New Zealand, Papua New Guinea, Micronesia and neighbouring islands in the Pacific Ocean. 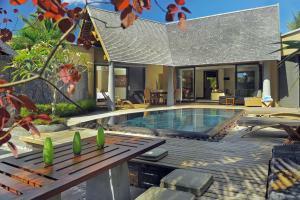 Anahita Villa, Golf View, Mauritius is a located in . Featuring free WiFi and a terrace with mountain views, Anahita Villa, Golf View, Mauritius is a villa, situated in Beau Champ. The air-conditioned unit is 37 km from Grand Baie. Free private parking is available on site. 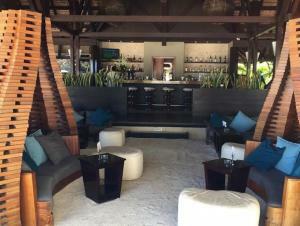 Consider Trou aux Biches Villas Beachcomber for your next trip to . Surrounded by lush, tropical gardens, Trou aux Biches Villas offers an outdoor pool, restaurants, a spa and a tennis court. It features watersport facilities and free Wi-Fi. 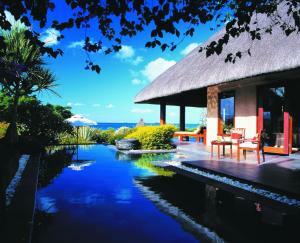 Four Seasons Resort Mauritius at Anahita is located in . Surrounded by tropical lush gardens and the crystalline waters of the Indian Ocean, the Four Seasons Resort Mauritius includes 4 pools. 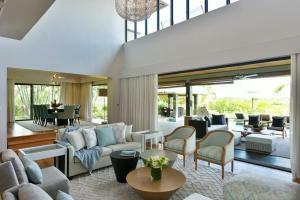 It offers complimentary use of the golf course designed by Ernie Els. The Oberoi Mauritius is a located in . Situated along the sandy beaches of Turtle Bay, The Oberoi Mauritius features a swimming pool, spa & wellness centre and fitness centre. It is set in 20 acres of sub-tropical gardens.